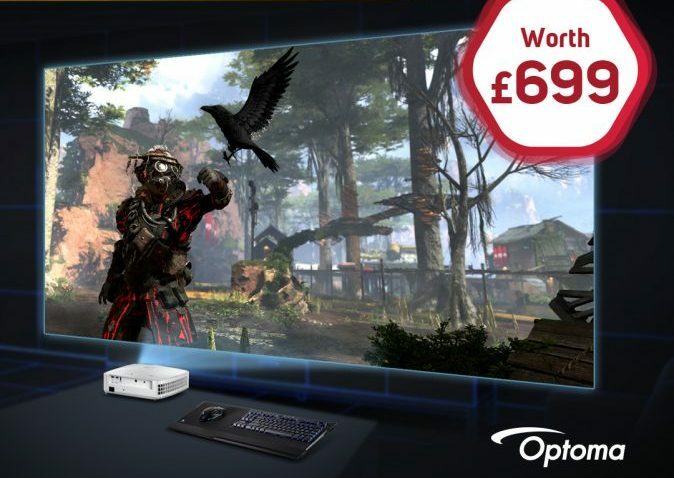 Scan has teamed up with Optoma to gift one of their fans with a brand new gaming projector! To enter in this Optoma HD29H 120Hz Gaming Projector Giveaway grab your free entries by following few simple steps listed down below! Introducing Optoma’s HD29H a bright and versatile projector that can produce HDR images alongside accurate and true to life colours. An ideal projector for gaming the HD29H produces 120Hz at Full HD 1080p resolution. You can even utilise the projector not just for games but to watch live sport, TV shows and movies as well. Providing great sound through its integrated speaker you can watch any form of media, with two HDMI inputs you can easily connect a laptop, PC, Blue-ray player and a games console. If you have a HDMI dongle such as Google Chromecast, Amazon Fire TV or Apple TV you can enjoy using them if that is your primary form on watching content. The Optoma HD29H brings the big screen to your home but it small enough and light enough to take an event such as a friend’s party, sports event or a movie night you can experience the big screen anywhere with a flat surface.